How annoying it is when you want to restore data from your Samsung phone but always fail to connect the phone to the computer? To solve the problem, you need to enable USB debugging on the device. Already enabled? Then, try to re-connect the phone to the computer or change to another USB cable. If you have successfully connected your Samsung Galaxy S8/S7/S6/S5/S4/Note with computer, you can start the data recovery for your Samsung device right now. 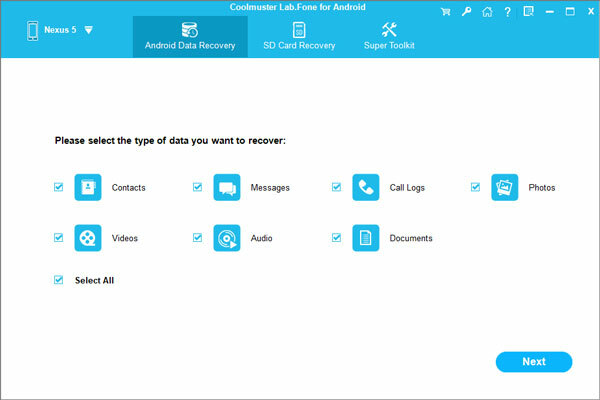 You can turn to Coolmuster Samsung Data Recovery, a professional yet easy-to-use data recovery tool for all Samsung and other Android users to recover everything from the device. It enables you to recover contacts, text messages, photos, videos, music, call logs and more both on Samsung internal memory, as well as the SD card. You can preview the lost data previously so as to perform an time-saving and accurate recovery process. Now, you can click the download buttons below to get the Samsung Data Recovery downloaded and installed on your PC or Mac. 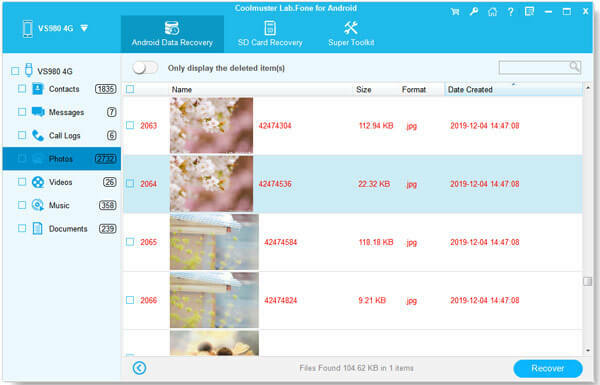 Next, you can have a view on the following guide to see how to use it to recover lost data from Samsung Galaxy failed to connect with a PC. How to Restore Samsung Phone Failed to Connect with Computer? Run Samsung Data Recovery on your computer after the installation. Then connect your Samsung phone to the computer via USB. If your device is not detected, please check your USB connection, and keep the device turned on, or re-connect your device. Now, you need to choose the file types you want to scan. You can select Contacts, SMS, Call History, Photos, Music, Videos, and Documents. Then, his program will scan the internal and external memory of your Samsung phone deeply. After you selected the data you wane to get back, you can hit on the "Recover" button to move on. Select a place to save the recovered Samsung data and all the selected data will be stored in the place automatically.